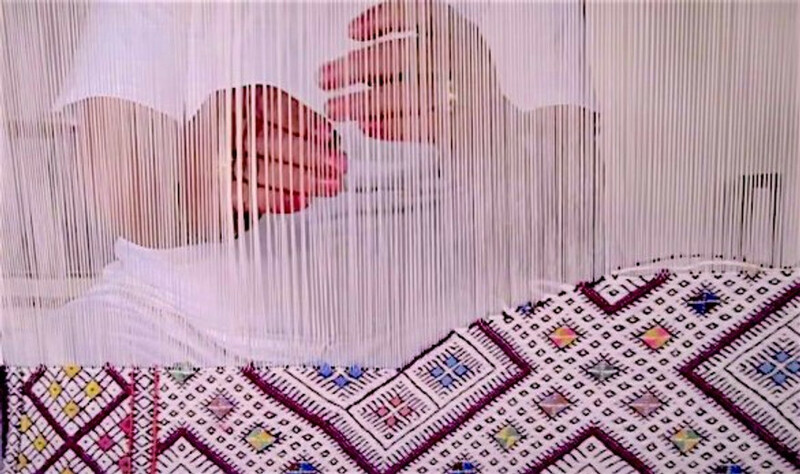 A wide range of cultural experiences, heritage sites and natural attractions are the prime features of Morocco tours. Explore magnificent monuments, ancient Roman ruins, and cultural centers of the Arab world. Travel to mountains, gorges, villages and kasbahs, feast on delicious food and immerse yourself in the culture. From the souks and medina of enchanting Marrakech to the sand dunes of Sahara Desert, experience it all on Morocco tours. Vibrant, colorful and full of adventure, Morocco tours offer diversity in abundance and an authenticity that appeals to the true intrepid travelers. With a bright fusion of influence from Spain, the rest of Europe and obviously Africa, Morocco contains a unique and exciting culture, with many innovative recipes and an array of beautiful markets, dress codes and rituals that stay true to traditions. Morocco is North Africa's most accessible and vibrant vacation destination, brimming with a cultural heritage that spans thousands of years, glorious beaches and breathtaking geological wonders. 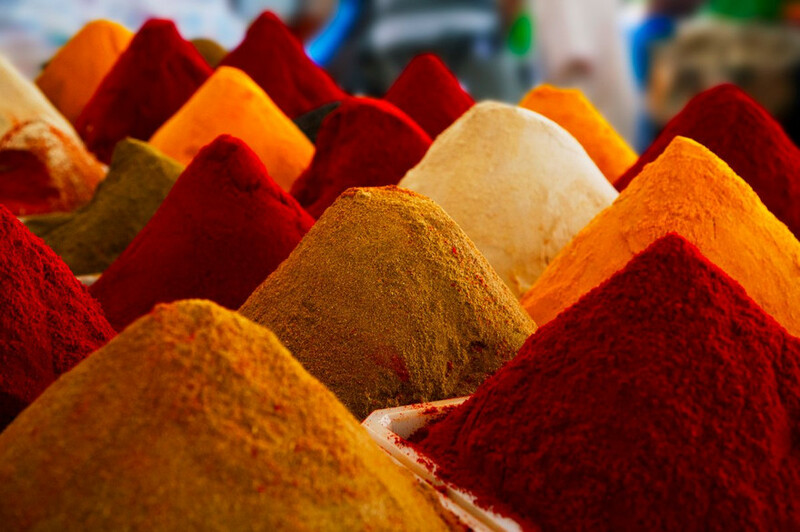 Arrive in Morocco and enjoy a delightful assault on the senses as the colors, sounds and smells of ancient Arabia transport you back in time. The hues of red and orange in the rugs and lamps adorn the stalls of the souks, and the scent of perfume and spices hang in the air. Leave the city for the fresh mountain air or open terrains of the Sahara where tranquillity and stillness prevail in an almost ecclesiastical ilk. 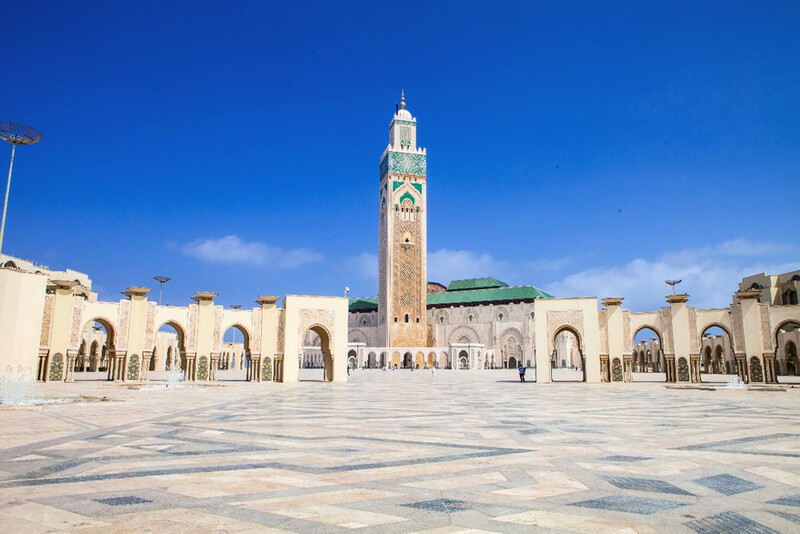 Explore the country with Morocco tours and discover plentiful hidden highlights as you traverse the souks of Marrakech, the wild High Atlas Mountains and the resplendent coastline of Morocco's South Atlantic. Located just off the coast of Gibraltar, Morocco can be easily reached from many destinations. Numerous airlines, including budget carriers, fly to the country's major cities from where you can start your grand Moroccan adventure. Morocco exudes a distinct charm that is rarely found so close to Europe. Just a short hop across the Strait of Gibraltar and you'll find yourself transported to a land of open deserts, resplendent Arab architecture and fantastic food. 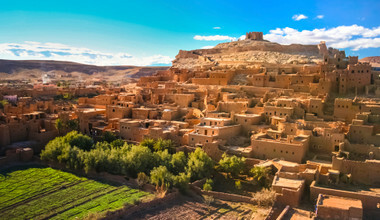 Morocco private tours give you the opportunity to explore this captivating North African destination in all its undisputed glory – from the bustling souks of Marrakech to the superb beaches of Essaouira. 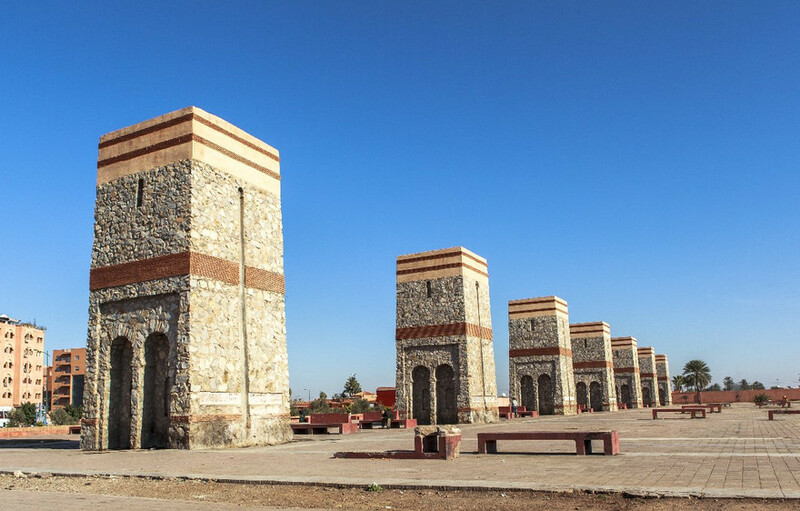 Though a part of Africa, the country has been heavily influenced by Arab and European culture and a Morocco holiday will give you the opportunity to experience a unique confluence of heritages, not only in the region, but also the wider world. 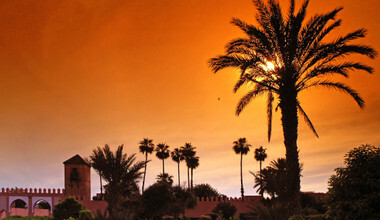 Though not the capital of Morocco, Marrakech is the most visited city and is for many the urban highlight of the country. Most notable is the central plaza Djemaa El Fna which, at dusk, transforms into a gargantuan al fresco restaurant with snake charmers, fortune tellers and street performers to boot. Far above the city streets, though not far from Marrakech, are the snow-capped peaks are the High Atlas Mountains. Home to the native Berber population, the mountains are both visually stunning and historically fascinating highlight of Morocco. Spending time in the desert is an unmissable experience when you travel to Morocco. Watch traditional cultural performances under the stars and tuck into a local feast before retiring to your tent to spend the night in one of the world's last great wildernesses. Despite being small compared to its African neighbours, a Morocco vacation offers wildly diverse opportunities. Cosmopolitan cities with world-class restaurants, rugged terrains ideal for hiking, beaches worthy of any travel blog and, of course, the vast Sahara Desert all await those who book a Morocco package holiday. 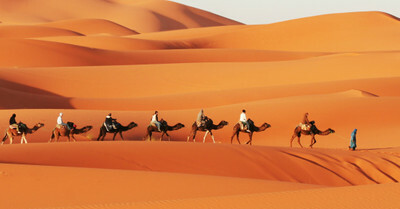 Most visitors who commence a round trip Morocco tour start in Marrakech. 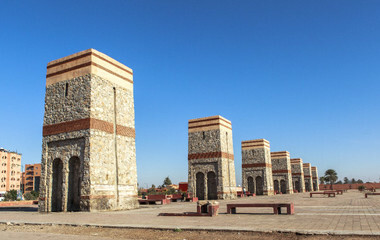 Though not the capital – this falls to the country's seventh largest city Rabat – Marrakech is the de facto center of tourism. 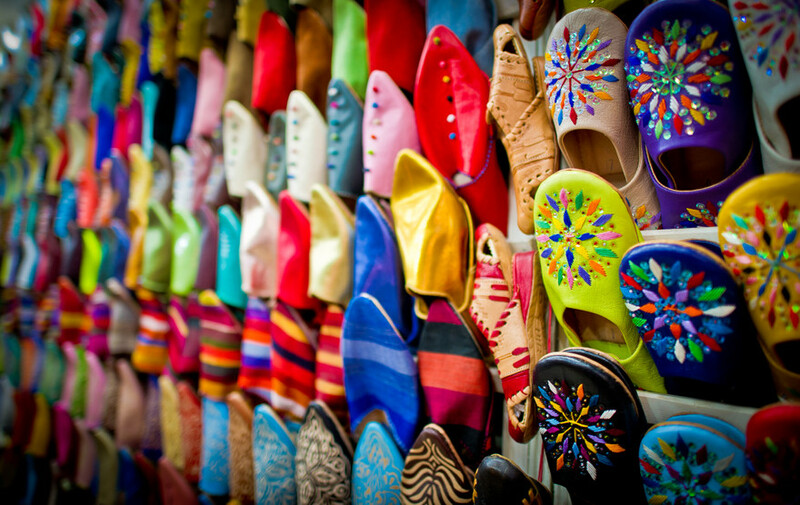 Despite its frenetic nature, time spent in Marrakech is a must. Spend some time getting lost in the intricate web of souks in the ancient Medina and while away the balmy evenings eating your way around the plethora of food stands and stalls in Djemaa El Fna. Though not to everyone's sightseeing preferences, a visit to the tanneries is an informative and surprisingly enlightening adventure for the dedicated travel enthusiast. Casablanca is the largest city in the country and is featured on the itinerary of many Morocco travel tours. This beautiful but beguiling former imperial city today prevails as a city of contrasts. Thought to date back to the 10th century BC, highlights not to be missed when in Casablanca, or Casa as it's known locally, include The King Hassan II Mosque (the third largest in the world), the historic Central Post Office (a fantastic place to send your postcards home), and the smaller but, many consider, more authentic Old Median and its characterful souks. 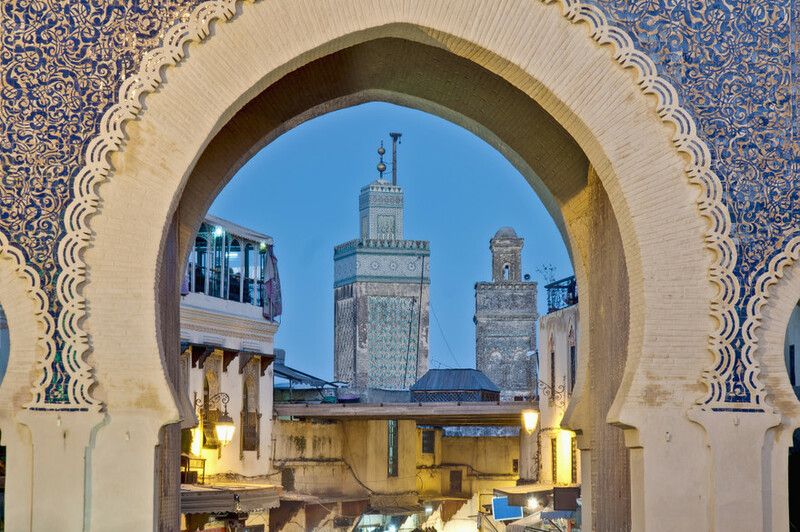 The final city which features on many trips to Morocco is the northern metropole of Fez. Famed for being one of the epicenters of the Islamic Empire, the city boasts one of the Arab world's best preserved ancient centres. At the heart of Fez is the Medina, Fes el-Bali, which also prevails as the world's largest car-free zone in an urban area. Getting lost in the old city is both inevitable and enchanting and you can pick up some authentic souvenirs, haggle for spices and even get your beard shaved. The Berber pharmacy, selling a vast array of local and herbal remedies is worth the visit – even for the young and healthy. 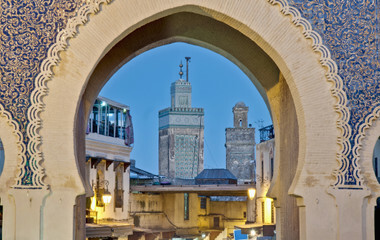 Morocco travel packages don't restrict themselves to the albeit vibrant urban areas. Many also take in the vast Southern Atlantic Coast; home to quaint beach towns which encapsulate influences of Arabia, the native Berber population and the French, who colonized Morocco, in perfect equilibrium. Essaouira is the undisputed highlight of this glorious stretch of coastline. Beach time is the dominant activity when visiting on Morocco travel packages, but away from the shoreline you'll be thrilled to discover resplendent architecture, plentiful hammams and spas and a plethora of restaurants serving up the very best in Moroccan cuisine. 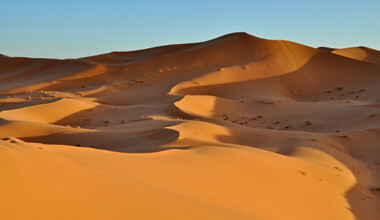 Perhaps the most breathtaking feature, at least geologically speaking, is the vast expanse of the Sahara Desert. Different Morocco travel packages opt to explore the desert terrains for varying periods of time, but missing the sight of the rolling sand dunes stretching far into the horizon is an experience one can simply not usurp when can visiting the Kingdom of Morocco. The months between March and May are largely considered to be the best time for a Morocco vacation. Throughout this period, the temperatures are beginning to rise, regularly reaching a pleasant 77 degrees Fahrenheit, but have yet to reach their peak which happens during the summer months of June, July and August. Throughout spring, Morocco is also at its most verdant, and the hikes into the Atlas Mountains are at their most spectacular making it a beautiful time of the year to go to Morocco. For those who prefer things a little more temperate, the winter season between November and February is the best time to visit Morocco. Even in these cooler months, daily temperatures still reach an average of 59 degrees – ideal for those who prefer to hike, discover and explore in cooler climates. As you might expect, summers in Morocco are hot and dry. This shouldn't preclude a visit during this time but heading to the beach or cooler locations in the mountains may be preferable to staying in the big cities. Flights increasingly easy to arrange when you plan your own trip to Morocco. The country, and in particular Marrakech, is served by a number of airlines – including many of the budget carriers. Some important Morocco tips for travel include making sure you pack attire which is appropriate for visiting places of religious worship and ensuring you have warmer clothing for high altitude hikes. The local currency in the Moroccan Dirham and while taking a little cash with you is always an advisable option, ATMs are plentiful at airports and in all major urban hubs across the country. Morocco guided tours are well suited to those who want to have their itinerary in Morocco taken care of by a cohort of professional travel experts of Morocco private tour guides. Hamza is fabulous. Very professional. Made all the arrangements with hotels, driver, tour guides. Responded to emails promptly. Our tour went smoothly. It has been about a week since our return from our visit to Morocco. For me, it was an experience which really exceeded my expectations. You have a beautiful country with warm friendly people! On behalf of my group, I would like to say it was very well-organized and very enjoyable. Thank you too for arranging for the additional tips to be given to the muleteers at Imlil. What I normally do after trips is give some feedback and hope it will help you in the future. The accommodation was on the whole very good. 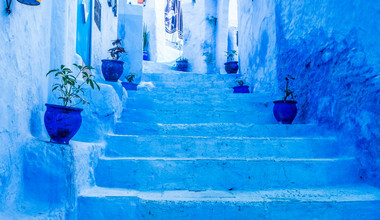 Even Balcon Bleu in Chefchaouen, despite their physical facilities having room for improvement, was made up for by the excellent service attitude of their staff. The hotels were nice. We particularly enjoyed the riads, all of which was excellent both in terms of comfort and service. The guides we had were generally also very good; some were more willing to go out of their way than others. The person I want to single out for high commendation is Hassan who was with us for 9 days and drove us from Marrakech to Rabat. He was not only a careful and safe driver, but he took pains to ensure our entire time with him went comfortably and seamlessly. He made a very effective liaison between ourselves, the accommodation staff/managers and guides. Despite his inability to speak English and our inability to speak French, we found him so thoughtful and helpful. He is a real asset to your team. The only thing that marred an overall great experience was our driver who drove us to Imlil on Day 3. Fortunately, everything and everyone else more than made up for him. Again our thanks to you and your team for an unforgettable experience. Kamal was fantastic helped every step of the way. We changed our booking a few times and he was very helpful and supportive. My wife and just returned from a 15 day tour of Morocco. We booked with Trip.me.com and they connected us up with their local Moroccan tour agent Kamal. This operator allows you to select from a wide variety of preselected tours such as Highlights of Morocco, Culinary, Culture, Self-drive tours among others. The tours are private tours and may be totally customized to your preference, duration, and budget. Their intuitive filters may be used to create your tour but can also be fine-tuned with the local agency. Our agent Kamal was very helpful in helping us with all our questions and was able to design the perfect tour. Touching down in Casablanca Airport Mohamed 5th, we were greeted by Saad. Saad would be our driver and guide throughout our Morocco adventure. We also assigned other tour guides for specific places we visited. Saad is not only a knowledgeable guide but is also very familiar with navigating with the Moroccan people and culture. Some of the highlight are as follows: Casablanca, Rabat, The Blue Village of Chefchaouen, Fes, Volubilis (Ancient Roman Ruin settlement), Meknes, Merzouga Village, Desert Camp stay at Erg Chebbi Dunes, The Route of 1000 Kasbah | Todra Gorges and Skoura village, Ait ben Haddou (10 century fortified village and a world heritage) and Marrakech. Kamal selection of Riad’s was suburb with each stay out doing the previous. On our last leg of our tour in Marrakesh, my wife and I developed a very bad cold. Being too sick to adventure out in the city, we stayed within our riad hoping to fight-off our illness. When things turned for the worst for me we called Kamal for support and within 30 minutes Saad was at our door ready to take us to the International Clinic. Kamal also called at the clinic to check in of my condition. After the clinic Saad drove us to one of the only 2 pharmacies open on Sunday. This was all done beyond our tour cost. This is so-so appreciative when your so sick with fevers and chills and don’t know where to go for help. We are truly appreciative of their compassion and kindness in our time of need. Kamal and Saad were reliable, respectful and competent and trustworthy. I can honestly say they went over and above the call-of-duty and where not afraid to show compassion and kindness. On several occasions during the trip Kamal phoned us to make sure everything was satisfactory. I must say, we are tremendously pleased and impressed by the professionalism and most of all there kindness and hospitality that they shared with us to make our stay in Morocco a trip of a life time. We would highly recommend using Trip.me and Kamal for your Trip of a Lifetime in Morocco!! Thank you Kamal and Saad…. Insha'Allah!